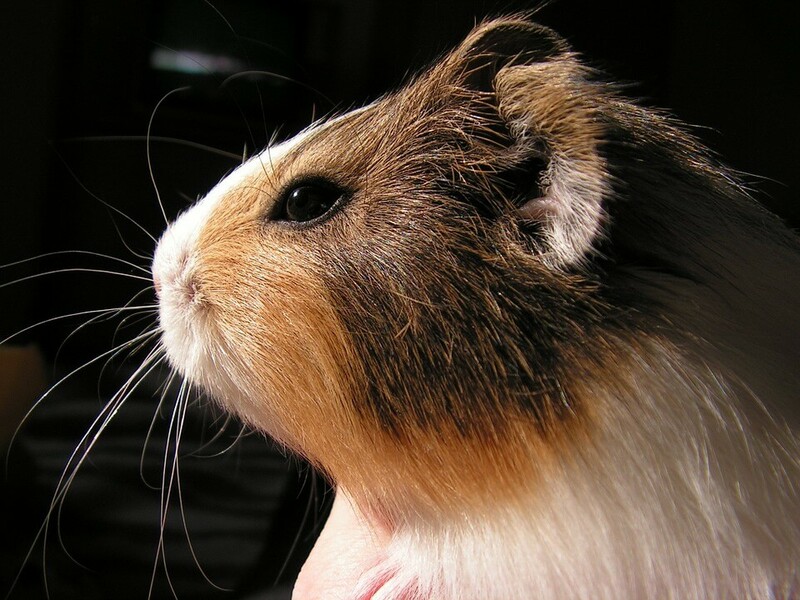 Many people love guinea pigs for their cute appearance and how easy it is to tend for them. They’re gentle animals and are great pets for both children and adults without the high-maintenance. However, have you ever thought of how long they can live for? Many people ask me, “how long go guinea pigs live for?” before getting one as a pet before committing to it. This is a question with a vast answer, as various factors depend on their lifespan. If you want to learn all about it and how to care for their health, then read on! On average, guinea pigs live for about four to eight years. Because of this, caring for them as a pet takes a long-term commitment. Their lifespan is much longer than other popular pet rodents, such as gerbils, mice, or hamsters, which don’t live for longer than three years. There isn’t an exact average age as to when a guinea pig lives for, only a range. How come? It all depends on their lifestyle and breed, as well as other different factors that can make them live shorter than the minimum age, or even longer! I’ll be getting to that in the next section. This isn’t as important as the diet and environment of a guinea pig, though still notable to look into. Different breeds have various lifespans, such as skinny pigs (six to eight years) who can live longer than long-haired guinea pigs (five to six years). Furthermore, wild guinea pigs (not the similar species as guinea pigs) have very short lifespans between one to four years. A healthy diet is important to lengthen the guinea pig’s lifespan while having them stay happy and healthy. The affection given can also affect their lifespan positively, as they have feelings like us humans, too! With a proper diet filled with calcium and vitamin C, they are able to live healthily and with fewer risks of illnesses. Yes, the place guinea pigs live in can also affect their lifespan. With a tiny cage they can’t move around in, the lack of exercise leads to underdeveloped muscles without the chance to eliminate toxins. Also, dirty environments can lead to respiratory issues in the long run from fumes. Depending on the guinea pig’s family history, they may contract different diseases their parents once had. Because of that, it can affect their lifespan especially if left untreated. That’s why it’s crucial to have a good vet for routine check-ups and if your guinea pig requires specific treatments from illnesses. Unfortunately, just like all living creatures, guinea pigs have an end to their life. It’s highly recommended to recognize the signs of gains and common health issues older guinea pigs experience. That way, you’re able to properly prepare a better environment for your guinea pig to be as healthy and comfortable as they can. Once your guinea pig turns four or five years old, you’ll begin to notice that he has graying fur, especially around the nose and mouth. Their movements also begin to slow down, and they aren’t as playful as they once were, wanting to rest and sleep more often than usual. The guinea pig’s feet are one of the more noticeable changes around their body. Their toes will thicken and twist outwardly, which lessens his want to exercise. Because of this, it may lead to poor circulation and bumblefoot, which is a painful infection accompanies with swelling and bleeding, requiring treatment. Older guinea pigs are more at risk of various ailments and illnesses, such as vision problems, arthritis, or heart problems. Some of them may have tumors as well, which is why careful observation is required. Don’t worry, as this doesn’t mean death, but are treatable with proper medication and treatment. Make sure that you create the suitable environment your guinea pig will love and can exercise in. It should have a soft and comfortable floor with space for a toilet, as well as exercise tools with access to food and water. Furthermore, the area should be at optimum temperature, not too hot or cold. Guinea pigs shouldn’t only have pellets, but fruits and vegetables for better digestion. Groom your guinea pig every few days, which keeps their coat shiny and healthy, free from mats and tangles. Allow exercise and entertainment in your pet’s page, with a lot of floor space and even cardboard boxes with tubes or pipes for fun. Remember to treat your guinea pigs with love and affection to ensure that they feel secure and happy for their entire lives! A guinea pig is intelligent and gentle creatures which make them amazing pets. But, you have to learn about how long they live for, so you know what to expect and see if you’re able to commit to caring for one. And through proper caring based on their individual needs, they’ll be able to live healthily for a long time. Hopefully, this article answers your question, “how long do guinea pigs live?” Now that you know, learn more about the guinea pig today and see if they’re excellent pets for you!